Helping people with disfigured eye problems is all we do. How long should lenses last? Should last a year but we get lenses in for replacement at three months and many after two and three years. Compliance with the care regimen prescribed and handling of the lens are key factors. Numerous compliance studies and the results indicated that US Patients comply at best 50%. We would like to think that Prosthetic & Hand Painted patients with disfigured eyes comply better but we do not know. Some of these patients with disfigured eyes only wear their lenses socially. It’s Good idea to have patient bring in lens case for examination on subsequent appointments – this will tell you a lot about the patient’s compliance to the care regimen. Do not assume your patient knows how to care for their lenses – have them walk you through how they take care of their lenses while you watch – do this at least one time. What Should Be The Fee To Fit Our Lenses? 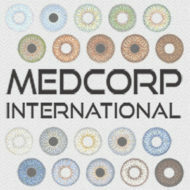 Help with Ocular Injuries and Disfigured Eye Problems | Medcorp International Blog, Proudly powered by WordPress.